Every year around the globe, we are conditioned to navigate ourselves through the Fall and Winter, which represent the peak season for contracting influenza. The common cold and the flu are both serious health conditions (bacterial and viral), that can do more than simply give you a ‘stuffy nose’ and cough. Depending on the severity of symptoms (and other personal health conditions), contracting influenza can be a life-threatening condition. Cold symptoms tend to present slowly, or build up over a period of a week or longer, with signs like a sore throat, coughing or congestion. Severe muscle and joint pain. Inflammation, pain and general tiredness around the eyes. Weakness and extreme fatigue (no energy). A sore throat and runny nose. 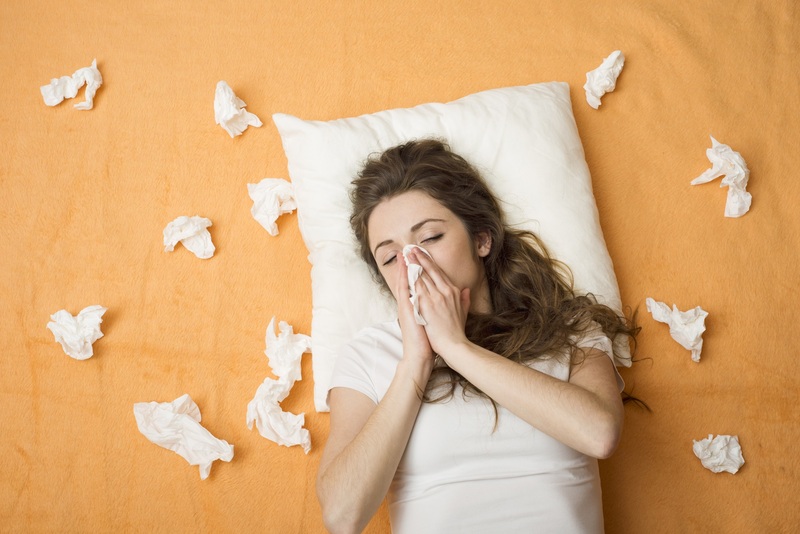 The differences between the common cold (a bacterial infection that can be treated with medication), and the influenza virus, are difficult to detect. The two infections are frequently mixed up, given the similarity of symptoms. Did you know that the flu vaccine is prepared annually, to address the top three strains of influenza, from the previous year? It is important to understand that it can take almost a year to develop a vaccination, and so, the one that we receive annually, reflects strains that created illness in the past twelve-months; it is not intended to address or protect against influenza strains that present themselves, in 2017-2018. How it works is by adding immunity to three strains on an annual basis. Over time, clinicians state that individuals can increase their resistance to a large percentage of influenza strains, helping to protect them against reinfection. It has always been a probability, that individuals who received the influenza vaccine, would not be protected against a new strain of the virus; which is what has occurred in the 2017-2018 flu season. If you’ve done some reading, or heard some alarm about infection rates in 2018, one of the best resources we found, was this article in Forbes magazine. Read: “This Year’s Flu Is Nasty and Getting Worse. And Now We’ve Shut Down the CDC,” by Steven Salzberg, Bloomberg Distinguished Professor of Biomedical Engineering and a Biostatistics at Johns Hopkins University. According to the article and data provided by The Centers for Disease Control and Prevention (CDC), the dominant strain of influenza this year, is the H3N2 virus. Individuals who received the 2017 influenza vaccination are not protected from this new strain. It is important to note however, that Salzberg states that the vaccine does offer a significant benefit, reducing contraction rates of other strains of influenza, by as much as 40%. Does it seem like a coincidence, that you are more likely to contract a cold, or the influenza virus, when you experience a spike in your stress levels? Whether stress is work related, financial or even social, increased cortisol levels (the stress hormone) has the ability to deliver a punch to your immune system. Stress weakens our ability to fight off both bacterial and viral infections. Symptoms of increased stress can also be linked to our seasonal activities. For instance, most people do not take vacations in January or February, which means that we are working harder and longer. 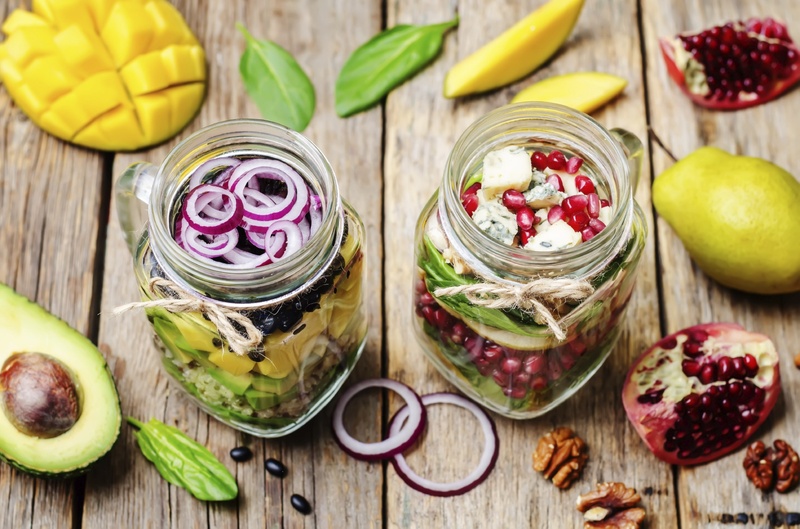 In winter months (depending on where you live) weather can also be a factor that creates radical changes to your healthy lifestyle. On average, our vitamin D levels can drop from October to April, because temperatures discourage outdoor activity, exposure to sunlight, and consumption of fruits and vegetables. When it’s cold, we reach for comfort foods, which are not always the healthiest options, compared to other choices we make in warmer months. Spending more time inside because of snow, rain and inclement weather conditions, means that we are shutting ourselves in with our families and friends, while increasing the bacterial and viral load of our homes, and the places we work. Remember to disinfect common surfaces, such as counters, faucets and electronics like your smartphone, and computer keyboard and mouse. Check out our article, “Where Does Bacteria Hide In Your Home or Office? Five Common Culprits “, for more tips. What Can You Do to Lower Your Infection Risks? As health needs, prescription medications and physical conditions can change quickly, make a note to talk to your doctor, for a personal evaluation of the influenza vaccine annually. As a general guideline, many health experts suggest that seniors and individuals who may be immunologically compromised (HIV, Diabetes, Lupus, and individuals in Cancer therapies) should consider the added protection of an annual influenza vaccine. Wash your hands frequently with soap and warm water, to reduce bacterial and viral cultures. Taking a daily shower has also been shown to help reduce infection rates. Avoid touching mucus membranes when you are in public. That means keeping your hands away from your eyes, your nose and your mouth, where it is easy to onboard both the common cold and influenza virus. Stay home if you are sick. Talk to your doctor if you feel you have contracted the influenza virus, for personal care instructions. Influenza is highly communicable, and one of the easiest places to contract it (or spread the virus) is through closed and populated work environments, and public areas like grocery stores. If possible, ask your employer about applying vacation days or telecommuting (work from home) policies, to help prevent outbreaks. Talk to your doctor. Severe cases of influenza may require intervention and hospitalization, depending on other health risks and factors. 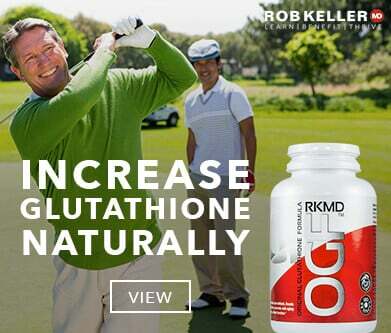 Dr. Robert Keller, the founder and chief formulator of RobKellerMD® nutritional products, did some fascinating research about the link between rates of influenza infection, and low internal antioxidants, including glutathione. 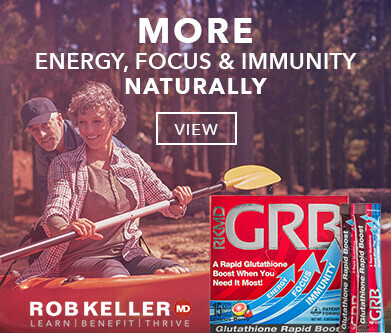 Visit our clinical page to read more about research that has reviewed the link between glutathione and improved resistance to influenza. Learn more about influenza, and what you can do to lower your risk factors and act, if you feel you have been infected. Remember to put your health first, and avoid ignoring serious symptoms, and consult with your physician for treatment and clinical advice. 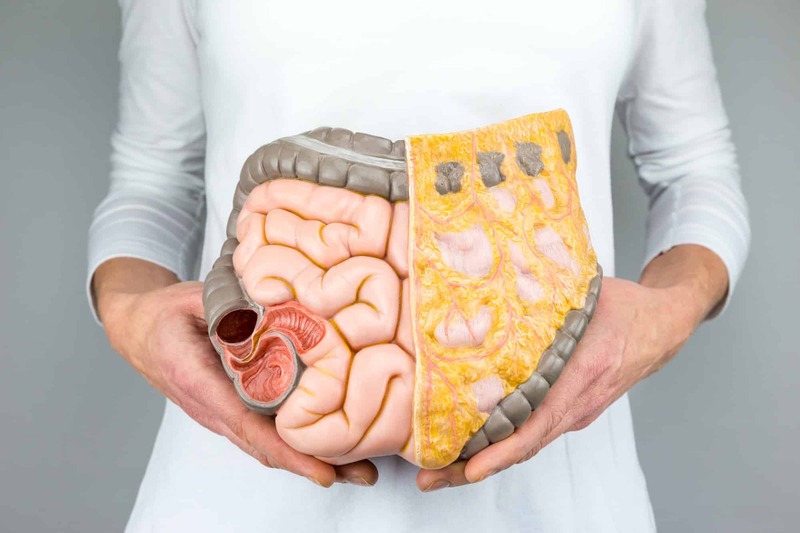 Could Unhealthy Intestinal Bacteria Be Making You Sick?